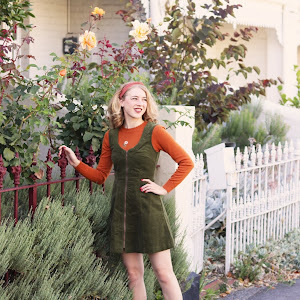 When I found out that Collectif was releasing a new line dedicated to 60s and 70s fashion I was beyond excited! I will be featuring a few pieces from the Bright and Beautiful collection on the blog and will be kicking it off with this amazing coat. 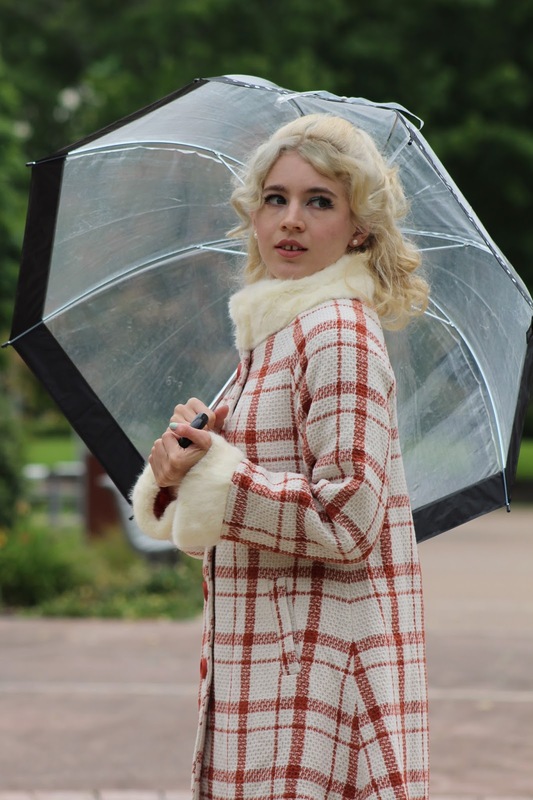 The fabulous Mariella coat is warm, luxurious and practical. I was worried that I wouldn't get a chance to wear this coat until next Autumn/Winter, however, we had a few really rainy days which allowed me to wear it out to the park, for a bit of Christmas shopping (is it really that time again!?) and to the supermarket - it was especially great in the freezer section haha. It was raining all of yesterday and then it magically stopped for one hour, as soon I was home the rain started again... I love good timing! 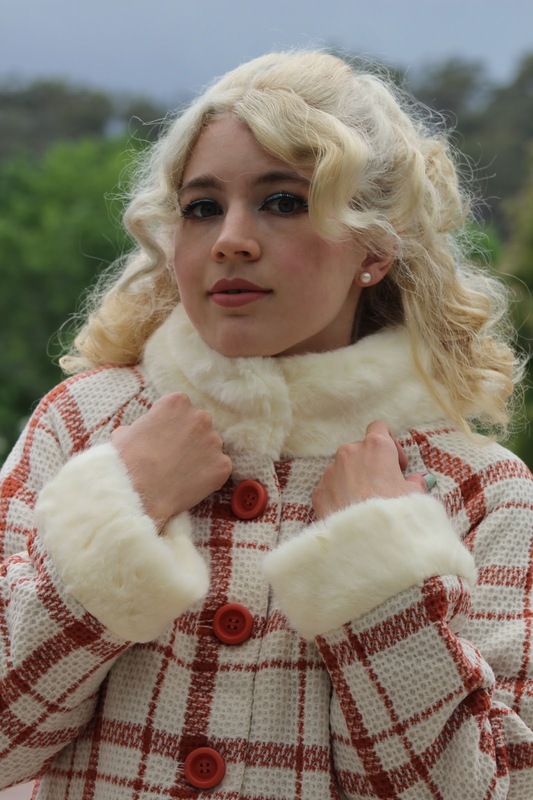 This coat has a gorgeous check design, soft faux fur, lovely orange lining and the cutest orange buttons. I went for the size 10 which is what I usually choose when I buy coats as I always size up, this gives me room to layer and move. The Mariella is also available in green, blue and black! 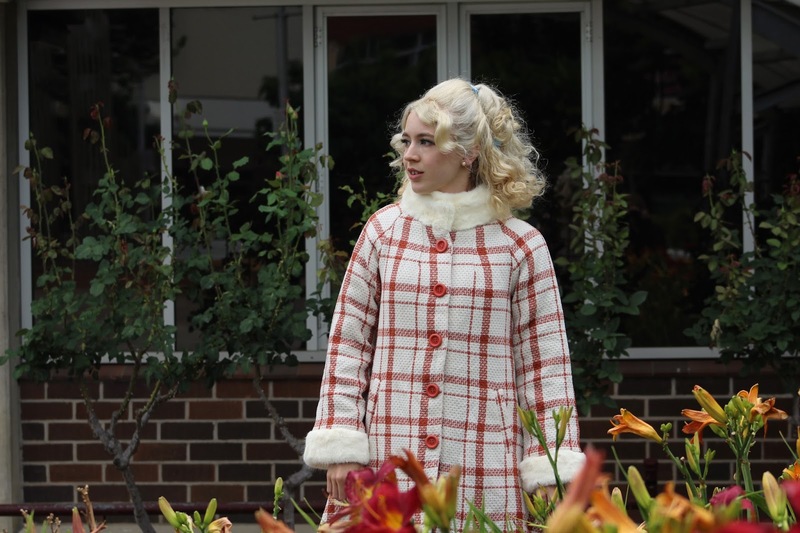 Now of course it doesn't have to be styled like this but I do have a lot of fun wearing 60s mod make-up and clothing. 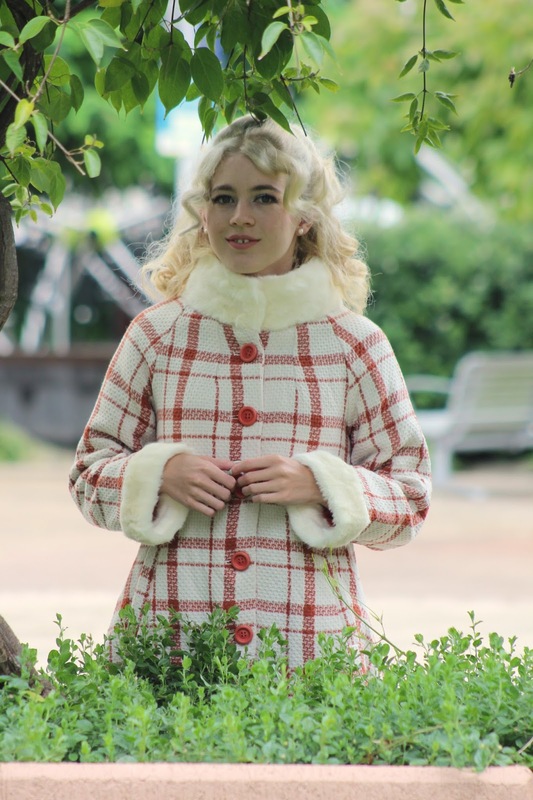 I am looking forward to wearing this coat with jeans and other dress/stocking variations next time. Wow this is such a beautiful coat, you look amazing! 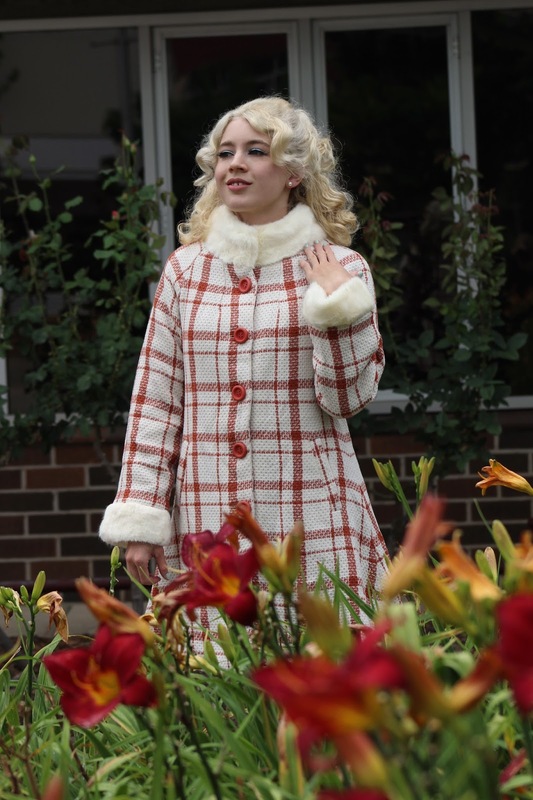 You look like a true 60's doll in it, you've got this look down! 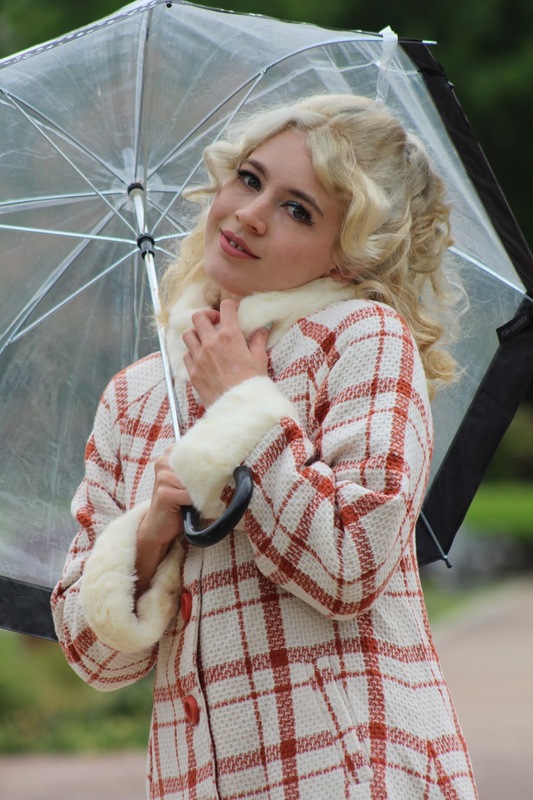 Cute as a button rainy weather look! I've said it before, but I'll happily say it again, 1960s styles look like they were custom made for you, sweet dear. Such an adorable coat! I cannot even tell you how perfect it is for you! How adorable is that coat? I love the shape, the plaid, the furry little collar and cuffs. I can't wait to see the other pieces of the collection you'll be featuring. 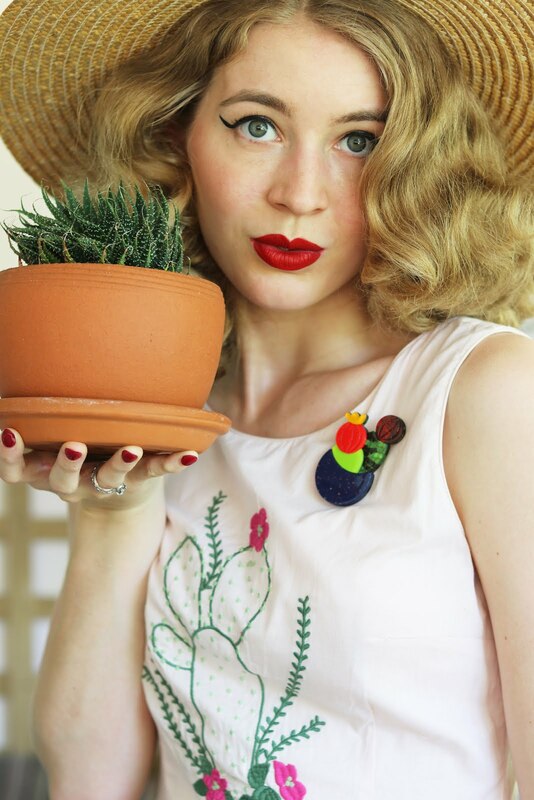 I do like the look of the Collectif pieces that I've seen, they're always very well designed. Sometimes it's so fun to leave the usual era comfort zone and try out something else. you look adorable in the 60s-70s look. great make up! Such an adorable look!!! I especially love the tights, really finishes the look perfectly. So fun and fresh, I love the styling!!! So beautiful! The coat is wonderfull and i adore the shoes too. Bellisima!